This course is for individuals who have/had cancer, their relatives and friends. Mindfulness can help if you are living with cancer particularly after your treatment as you start to rebuild your life, with a wide range of mindfulness techniques. You may have undergone surgery, radiotherapy, chemotherapy or all of these. During which we hope that you were given lots of support. Hopefully this support helped, however cancer sufferers say that afterwards can also be a very difficult time, emotionally. Perhaps you are feeling unsupported or on your own. After all the treatments and follow ups are finished, the realisation of what has happened can start to emerge. 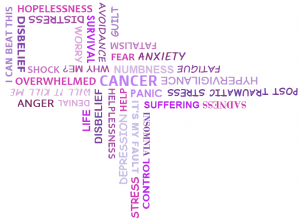 May be you are finding that your negative thoughts and emotions are more distressing than all the physical challenges you have faced having cancer and managing treatment. How to manage some of the psychological implications. Donna Brown trained with Trish Bartlety at Bangor University’s Centre for Mindfulness Research and Practice. Enriched by her own personal experience of cancer, Trish’s approach is described in her book ‘Mindfulness-Based Cognitive Therapy for Cancer’ and this approach is at the core of our course. This course is run on request - if you are interested please contact us.